The only thing you hear on a lovely summer evening is a conversation going on with a lot of laughter. While you are warming up to the fire with your friends and family, the sun is slowly disappearing below the horizon. This is the best setting for a nice conversation. Just enjoy the outdoors a little bit longer and you realize that it doesn’t get any better than this. 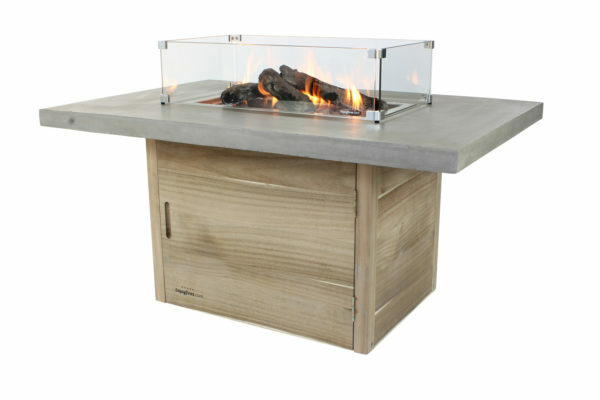 Upgrade your terrace with a magnificent fire table by Enjoyfires. Protect your children and pets by placing a set of glass around the built-in burner. The glass sets are a little bit bigger than the built-in burners. 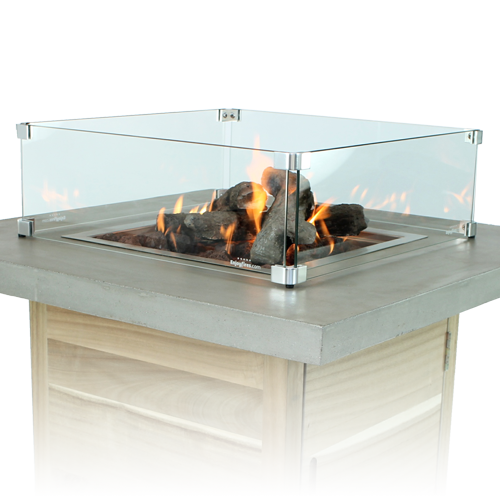 Did you know that all of our burners are CE-certified? 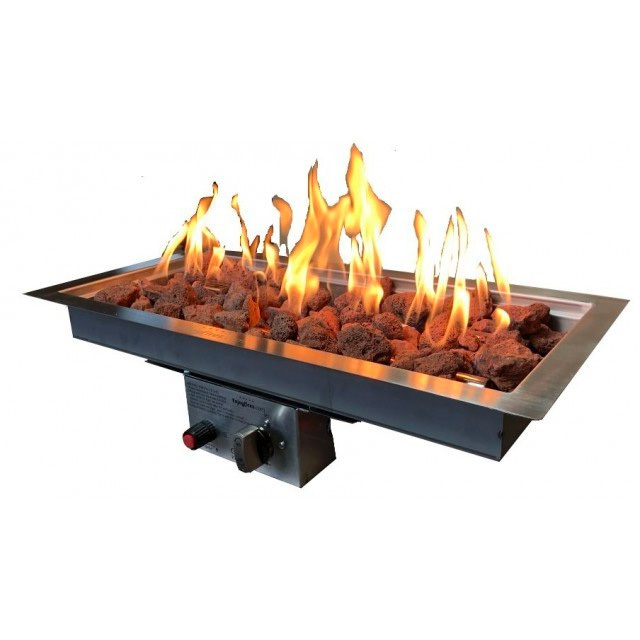 Setting up your fire table is fast, safe and easy. Just connect a gas cylinder to the burner, press the ignition and enjoy the flames. 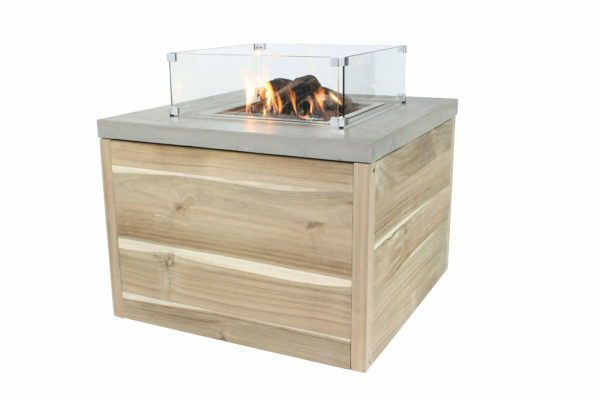 With the ceramic logs your fire table will look like a real campfire. It’s up to you to determine how high the flames shoot. 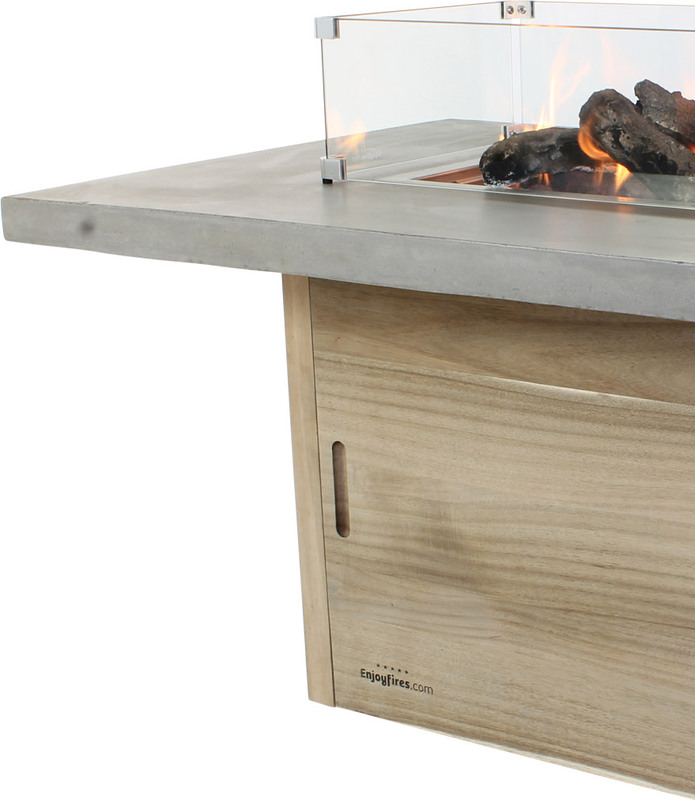 Using 16 KW of power, this built-in burner will produce brilliant flames. 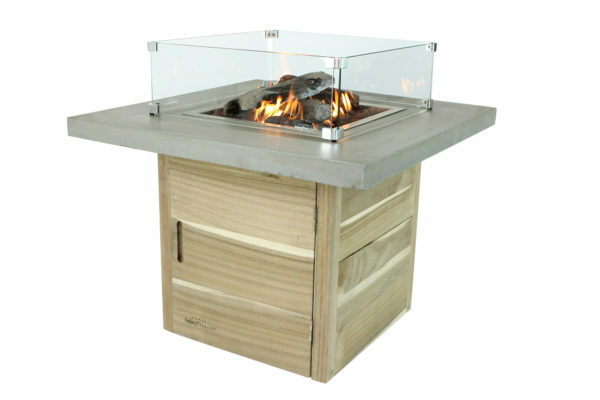 In all of Great-Britain we will deliver your Fire Table free of charge to your home. In addition, you can track and trace your delivery online and your purchase is protected against damage or theft.